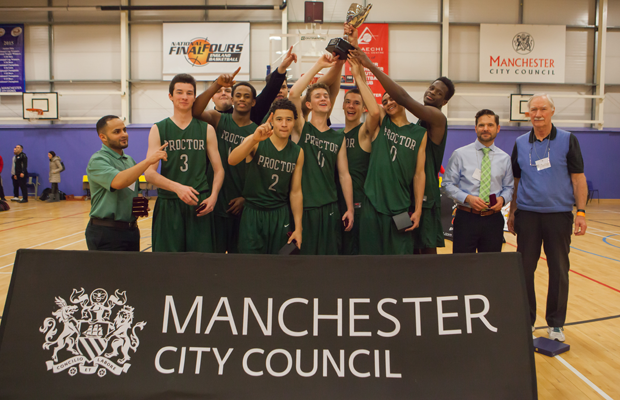 Proctor Academy avenged their group stage loss to England Under-18s when it mattered most, with a 82-63 win to claim the 2015 Haris Memorial Title on Tuesday at the Amaechi Basketball Centre in Manchester. Unlike their first match up where England had early control, Proctor asserted their authority on the game immediately jumping out to a 12-2 lead and not giving it up the rest of the way. 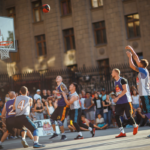 Though England remained in striking distance throughout, getting the lead down to single digits in the third period, a lack of urgency sealed their fate as it turned into a blowout in the fourth quarter. Eventual tournament MVP Caleb Green was neutralised by England, being held to 4-17 shooting, but instead went to his passing game, dishing 9 assists as Tshiefu Ngalakulondi went off for 27 points and 11 rebounds as well as a number of highlight plays. Big man Julian Roche finished with 18 points and 11 rebounds on 9-13 shooting, while guard Geordano Baker-Occeus had 17 points. For England, Luke Mitchell had 15 points on 6 of 12 shooting in the final, rounding out an impressive performance across the three days in Manchester to be named to the All-Star 5. 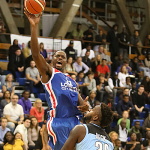 Centre Sam Japhet-Mathias finished with 17 points and 9 rebounds, while Zion Tordoff and Jacob Iwowo joined them in double figures with 11 each. England finished 4-1 at Haris 2015 but ultimately were unable to win back the title they claimed in 2010 and 2013. 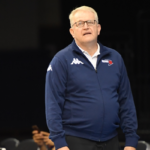 Regardless, Head Coach Steve Bucknall felt it was an important step in the team’s preparation for the 2016 Division B European Championship. 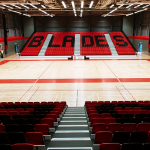 “The Haris tournament is always a well organised affair which offers the under-18 programme an opportunity to play in a local competitive environment where we can continue with our selection process,” Bucknall said after the tournament. “The team had little prep but we were pleased with the performances of the team. 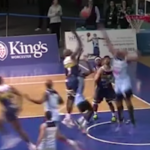 England escaped a scare from Charnwood to take a 60-55 win and book their place in the final. A late three pointer that would have tied it up from Charnwood’s David Issekya bounced off the rim, and England knocked down their free throws to seal the victory. England jumped out to a 27-11 lead before Charnwood got back into the game early in the second half. 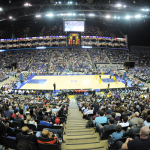 Zion Tordoff had 22 points to lead England, Luke Mitchell added 12 and Daniel Akin finished with 8. Tim Fava led Charnwood with 12, while Thomas Yome had 11 and David Issekya and Morgan Carter added 8 each. 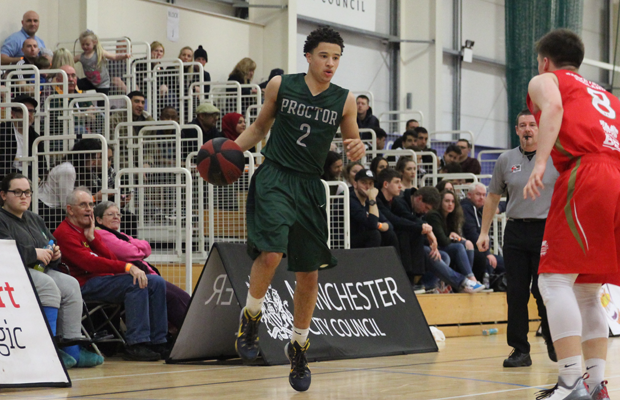 Proctor Academy came away with a 72-87 win over Turkey to book their place in the final, in a game that was closer than the final scoreline suggests. Neither team were able to get separation and it wasn’t until the final 3 minutes that Proctor pulled away, completing a number of highlight plays on the way. Caleb Green was one again top scorer, finishing with 27 points, while Geordano Baker-Occeus had 25 and Tshiefu Ngalakulondi added 20. Ragip Berke Atar led Turkey with 18, Sinan Saglam 15 and Burak Tursen had 11. Turkey U17s claimed third place at the 2015 Haris Memorial Tournament with a comfortable 86-61 win over Charnwood. Unlike their group match up where Charnwood led the majority of the game until Turkey took the lead in the final minutes, in this one Turkey controlled from the outset, but managed to hold on, putting the game out of reach in the fourth quarter. Erkin Senel had 17 points to lead Turkey, Sinan Saglam added 16 and Troy Selim Sav and Burak Tursen finished with 12 each. Henri Langton led Charnwood with 13, while Tim Fava added 12. Scotland picked up the 76-63 win over Osona and claim 5th place at Haris. Scotland controlled the game throughout, leading by as many as 18 to take fifth place in the tournament. Kyle Jimenez continued his solid scoring efforts in the tournament with 23 points, Sean Nealon-Lino had 22, while Konrad Kantorski finished with 11. Xavier Roqueta led Osona with 19, Salion Diop had 13, while Roger Lopez and David Carrillo added 8 points a-piece. 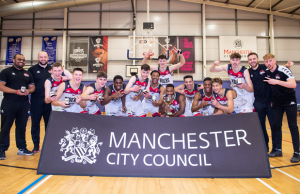 Manchester Magic took seventh place with a big 51-91 win over Sligo All Stars, for their first W of the tournament. Magic jumped out to an early lead and never looked back, dominating throughout to register the victory over the Irish side. Hamad Ali returned to finish with 15 points, Kaiyem Cleary had 14 while Arman Najafian finished with 10. Oisin O’Reilly led Sligo again with 15, Sean Snee had 13 and Shane Mooney finished with 9. In the opening game of the day, Scotland Under-18s got a 83-62 victory over Sligo to advance to the fifth place game. Scotland led by just 5 at halftime but extended it to 15 by the end of the third to cruise to the win. Kyle Jimenez led Scotland with 22, Konrad Kantorski had 15 while Ryan Armour finished with 12. Oisin O’Reilly led Sligo with 21, Shane Mooney had 15, while Luke Cromy and Luke McLoughlin added 7 each. In the other opening game of the day, Osona escaped with a 74-64 win over Manchester Magic to stay in the running for fifth place. 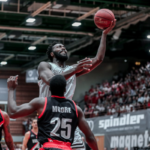 Osona appeared in control before a late Magic run saw them reduce the deficit in the final minutes but were unable to get over the hump, with missed free throws and Kaiyem Cleary fouling out sealing their fate. Xavier Roqueta led Osona with 22, Saliou Diop had 15, while Guillem Prat added 12. Jaxon Wroe led Manchester with 15, Michael Anumba had 11 and Kaiyem Cleary joined them in double digits with 10. 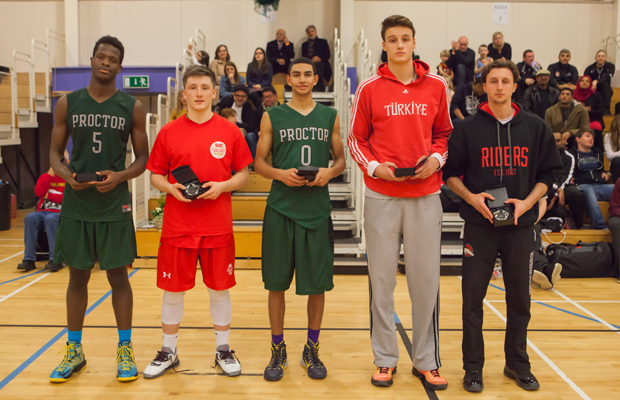 Pictured above, in order, Proctor’s Tshiefu Ngalakulondi, England’s Luke Mitchell, Proctor’s Geordano Baker-Occeus, Ragip Berke Atar of Turkey and Charnwood’s Tim Fava were named to the All-Star 5. Proctor Academy’s Caleb Green was deserved MVP winner, having the tournament high of 34 points on opening day, while averaging an impressive 21.6ppg over Proctor’s 5 games. He finished with games of 34, 25, 22, 27 and 11 points, respectively, using his quickness to get to the hoop, while knocking it down outside jumpshots. Charnwood’s Head Coach Josh Merrington picked up the Kornel Tober Coach Award 2015. There was a big gap in the level between the top 4 and bottom 4 teams. 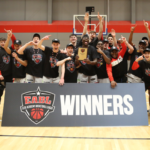 Zion Tordoff had the biggest breakout of any England player in the tournament, having gone from being a final cut from the England U16s this past summer to one of the England U18s’ best performers at Haris. Sam Japhet-Mathias continued to show why he was pursued by so many NCAA D1 programmes (has committed to Wake Forest) – physically was unmatched in the tournament, powering his way to the hoop as well as showing some great post moves. Charnwood’s Henri Langton, who is also still involved with the England U18 programme, might be the most polished offensive big man in the country. He showed range extending to the 3 point line, along with a range of post moves and footwork. Worth remembering there are a number of additions/potential additions to this England U18 squad that would be in the mix for the final 12, including the likes of Langton, Carl Wheatle, Ashley Briggs, Nelson Boachie-Yiadom, RJ Eytle-Rock, Kaiyem Cleary, Cameron Bett, and Jelani Watson-Gayle. England U18s were coached by assistant Karl Brown in the final, with Head Coach Steve Bucknall absent. Proctor’s Tshiefu Ngalakulondi comfortably led the tournament in dunks, throwing down at every opportunity. Missed having the England U16s at the tournament, though historically they have struggled to match up physically, was always a great opportunity to get a first look at the next generation coming through. Another well organised tournament, a huge thanks to all those at Manchester Magic involved with putting it together. We have a tiny favour to ask. In 2018 we set out to make Hoopsfix sustainable by building our relationship directly with our readers. Up until now, Hoopsfix has been creating editorials, videos and podcasts to provide sorely missing coverage of the British game and its distinct culture and community. 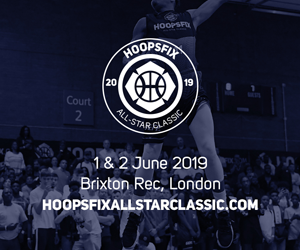 We have funded Hoopsfix with our freelance work creating basketball media, but sadly that means not only does it fall behind our client’s priorities, but some of those clients are the same organisations we need to report objectively on putting us in a conflicted position. 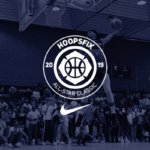 We want to devote more time to our mission of helping British basketball reach its potential, and produce even more content for the basketball community by making Hoopsfix a sustainable 100% independent business funded directly by our readers through Patreon. If everyone who enjoys our content chose to support us, our future would be much more secure. For as little as $3 per month, you can support Hoopsfix – and it only takes a minute. We are tremendously honoured and humbled to have a community of people who value what we do, and we look forward to being at the forefront of the British game as it continues to evolve. 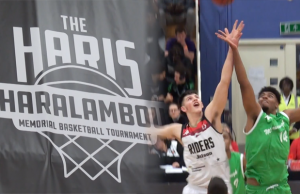 ← Previous Story Josh Edwards (’99) Goes Coast to Coast at Haris 2015! 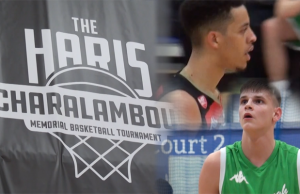 Niall Harris (’99) & Mate Okros (’01) Battle in the Haris Tournament Final!